Why is the giant ape of Donkey Kong Country: Tropical Freeze for the Wii U so damn fluffy? Why is he fighting Vikings? And why is it borrowing a mechanic from, of all games, Super Mario Bros. 2? Producer Kensuke Tanabe has answers, and in one case he is the answer. You see, one of the first games Tanabe worked on as a director was Super Mario Bros. 2, known as Super Mario USA in Japan. 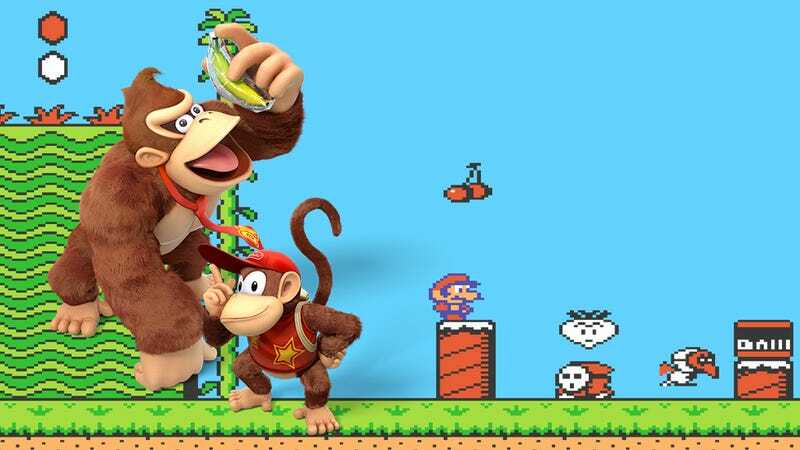 That was the game that introduced the idea of yanking fruits and vegetables from the ground to use as weapons to the Mario universe, a tactic quietly tucked away after Mario moved on to bigger and better things. Well, Tanabe is taking it back! Check out the Developer Direct for Donkey Kong Country: Tropical Freeze to find out how the newly-fuzzy ape will be yanking it, how he got fuzzy, and the odd thought process that led to Vikings.